Lot 3: Celtic World. 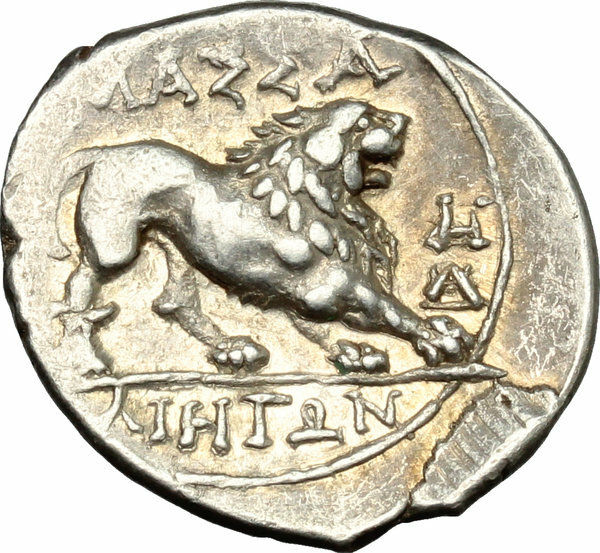 Gaul, Massalia. 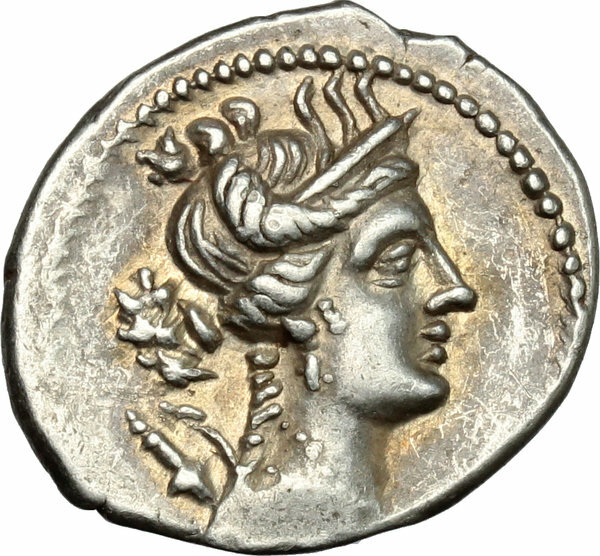 AR Drachm, c. 150-130 BC. D/ Diademed and draped bust of Artemis right, bow and quiver over shoulder. R/ MAΣΣA/ΛIHTΩN. Lion prowling right; in right field, HΓ monogram over Δ. Cf. Depeyrot 37/11: H (in error) over Δ. AR. g. 2.60 mm. 18.00 An outstanding example, superb and prettily toned, with golden hues. EF/About EF.